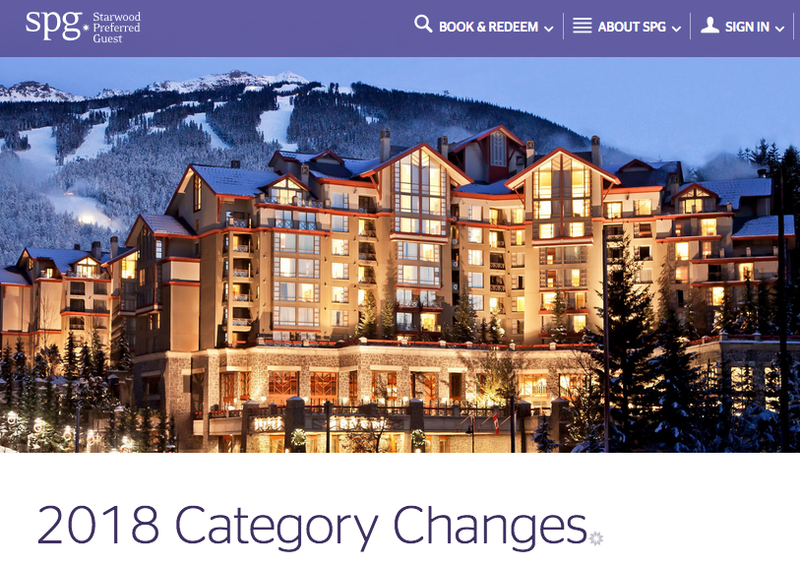 This year we've already seen hotel category changes from the likes of IHG, Carlson Hotels and Hyatt and now its Starwood and Marriott's turn. In this post we'll cover the changes from Starwood Preferred Guest and follow up with another post covering Marriott Rewards. 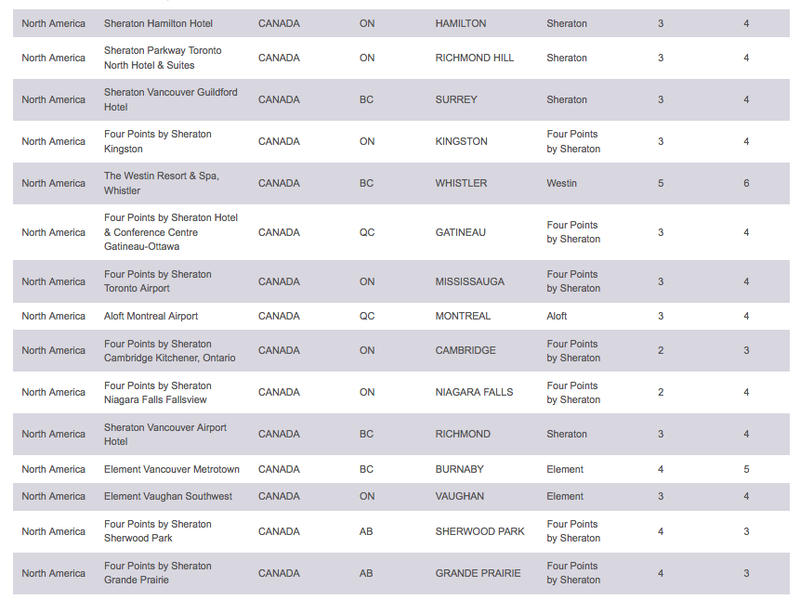 Starwood's changes aren't too bad this year with 276 hotels in total moving up or down in categories. 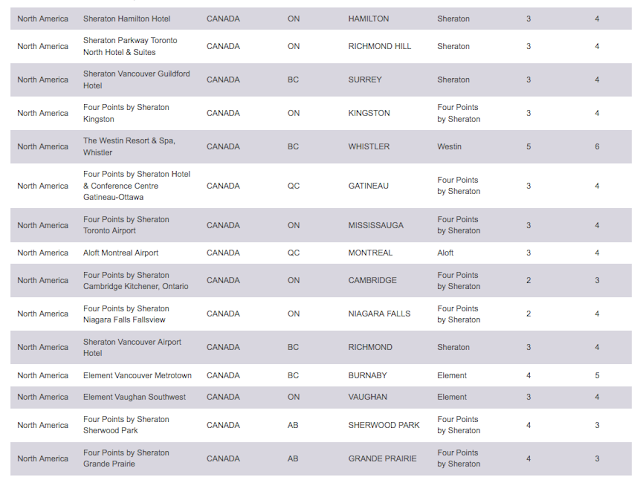 Out of the 276 hotels 145 are moving up one or two categories (only three move up two categories) and 131 are moving down one to three categories (only three again move more than one). As you can see it is almost an even split in the changes. Even with the changes however most of the hotels that are moving up a category are hotels that were category 3 which now makes them category 4. These hotels will luckily stay in the realm of using the free weekend night certificate that you can get with the Starwood Preferred Guest Credit Card from American Express if you spend $40,000 annually. The other news that came out sees the booking window for reserving Starwood Hotels drop from 550 nights out to 350 days. This brings the number in line with Marriott's policy and is just one more step towards the complete integration that we should see early in 2019. You can find the complete list of the 276 hotels changing categories here.